Matt McQuain and Keegan Naugle certainly aren’t very imposing figures when they step on to the baseball field. Both are only about 5-foot-8. Their size, however, has never held them back. 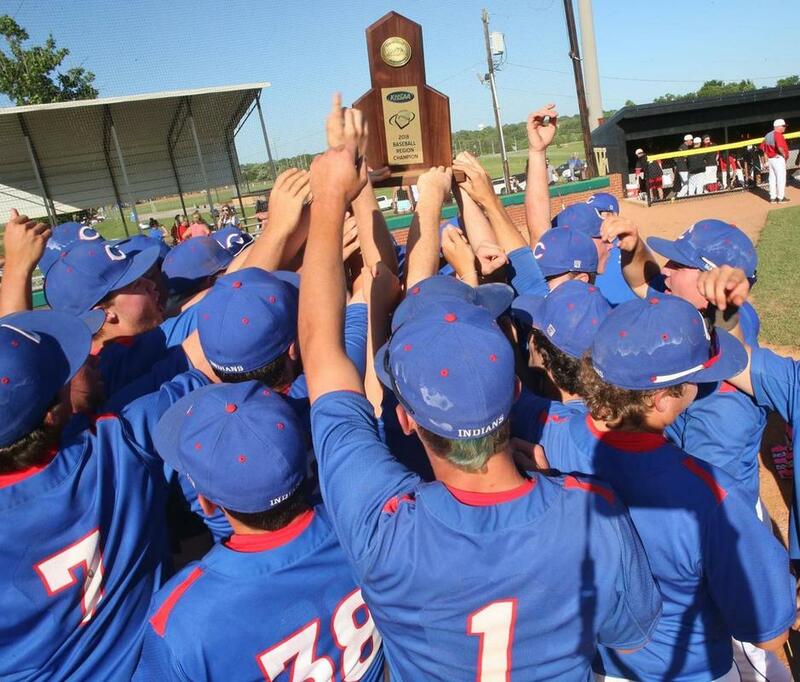 McQuain and Naugle have played key roles in Madison Central’s success the past few seasons. They helped the Indians win an 11th Region Tournament title this year. Madison Central’s season came to an end with an 8-6 loss to #19 Bowling Green (22-11) on Friday night in the opening round of the KHSAA State Tournament at Whitaker Bank Ballpark. The #5 Indians didn’t trail until the Purples scored five times in the top of the sixth inning. 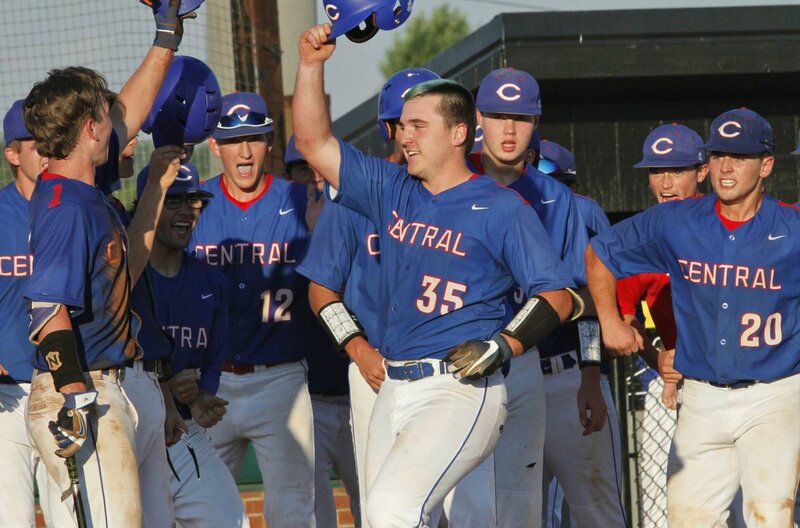 Central (30-8) got a run in the bottom of the sixth, but left the bases loaded. ​Everyone else had already gone home. The only people left on the track were Madison Central baseball coach Steve Roof and a chubby freshman named Casey Bargo. “He was still out there running,” Roof recalls. Bargo just kept running. It took him more than 12 minutes to run a mile. ​In the past 14 months, Madison Central’s Jacob Ferris has sustained two major injuries — a torn ligament in his elbow and a broken wrist. Those setbacks have forced him to miss almost all of both his junior and senior seasons. ​“There was a new focus over the summer,” Central coach Steve Roof said. “One Goal has been our (motto) all year. The goal is to win the day. Do the best you can and attack each day with a positive attitude. That’s really all we tried to do.” The Indians are one step closer to the ultimate goal. Central Coach Steve Roof could not be happier to soon dye a blue mohawk into his hair. ​The Indians' players all dyed a strip in the middle part of their hair blue — some thicker than others — as a team-bonding exercise during the preseason. 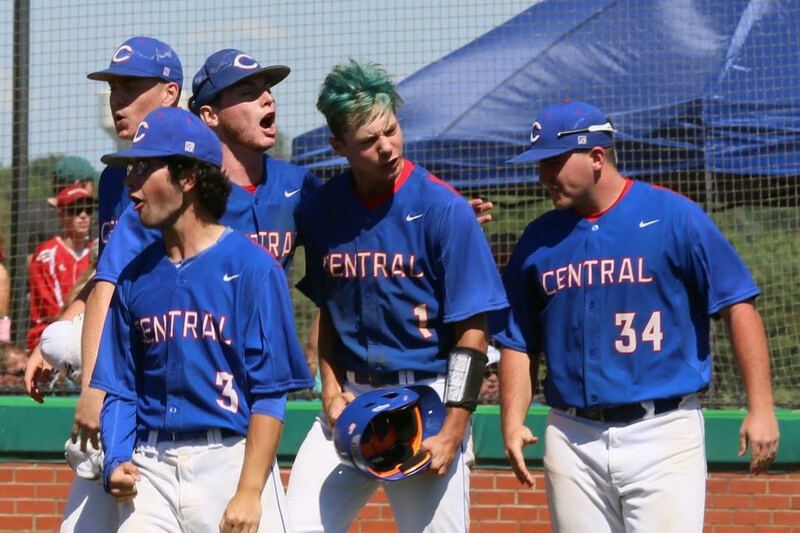 Roof told his players that he'd put one in his own hair if Central made it to the state tournament. Central's "Rallysaurus" from two years ago survived extinction. The same could not be said for one of the two "rally snakes" in its dugout on Saturday. The Indians defeated Woodford County, 4-2, in the 11th ​Region semifinals at Woodford County Park. 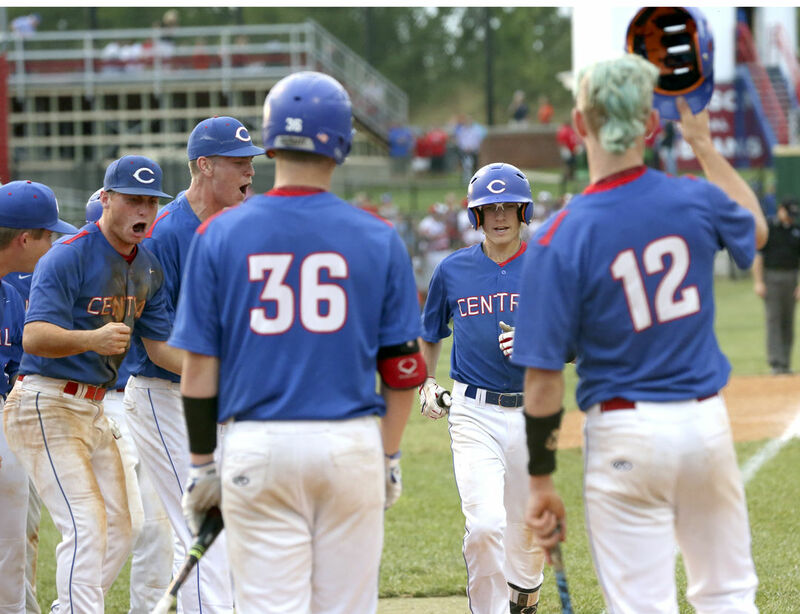 ​Jeremy Cox’s two-run homer in the sixth inning lifted Madison Central to a 4-2 win over the Yellow Jackets (25-7) on Saturday in the semifinals of the 11th Region Tournament. ​With the win, the Indians advanced to the region championship game for the third time in the past five years. 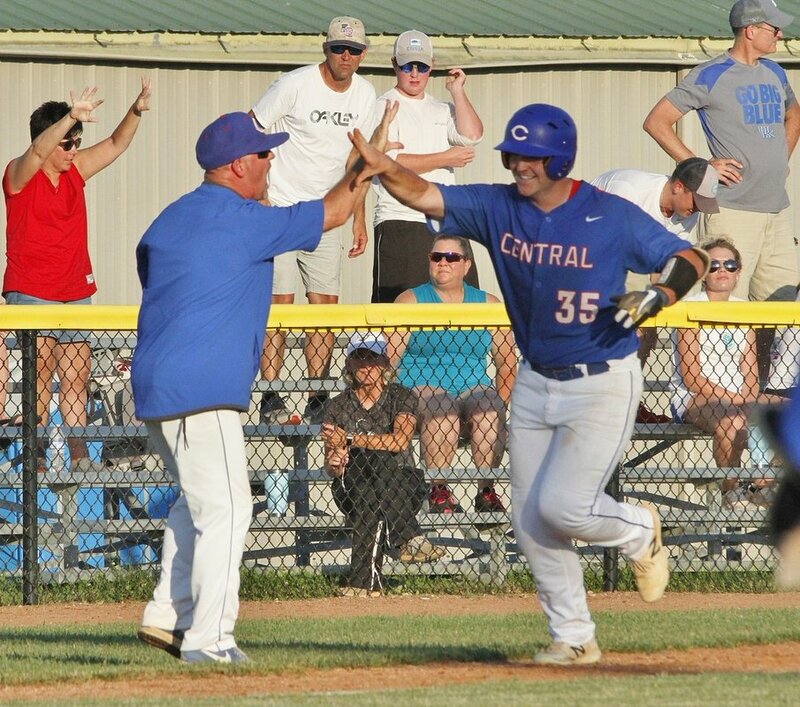 Madison Central coach Steve Roof had a hard time deciding who to send to the mound for a match-up with Bryan Station in the opening round of the 11th Region Tournament. He had plenty of options. The Indians didn't spend much time celebrating after they reclaimed the 44th District Tournament championship on Wednesday night at Don Richardson Field.